DDR2 moved the "notch" to a different location so DDR2 could not be mounted in a DDR slot by accident, and vice versa. DDR3 provides a third notch configuration, designed to prevent mounting in older DDR and DDR2 slots. The first DDR3 memory to show up in our labs is from Wintec, who will market the DDR3 kit under their AmpX brand name. Corsair has also been at the forefront of DDR3 development and provided a Corsair 2 GB DDR3 kit for evaluation. Both the Wintec and Corsair parts are rated at DDR3-1066 at 7-7-7-20 timings. Corsair also has a 1333 part that should be released in the next two weeks. We will follow up with that 1333 rated memory as soon as it is available. 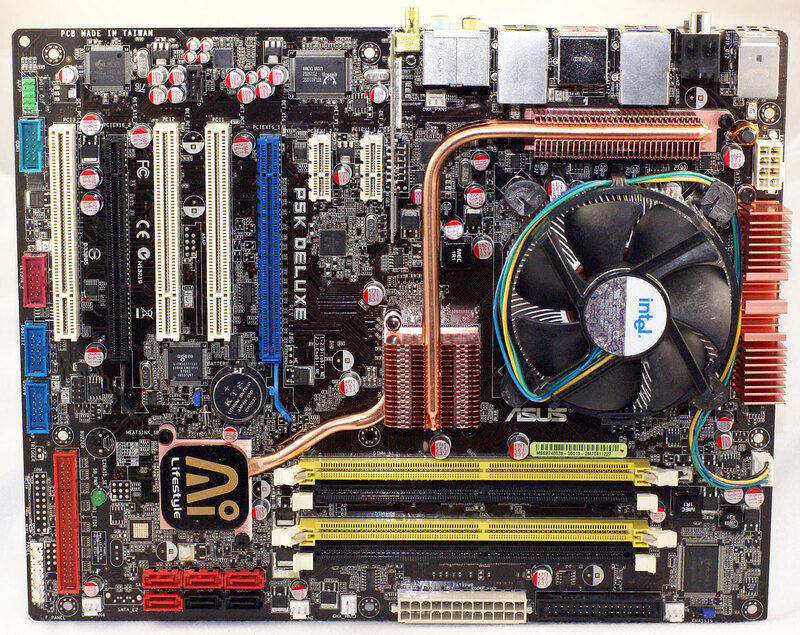 DDR2 memory was also needed for the older P965 and new P35-based ASUS P5K Deluxe. 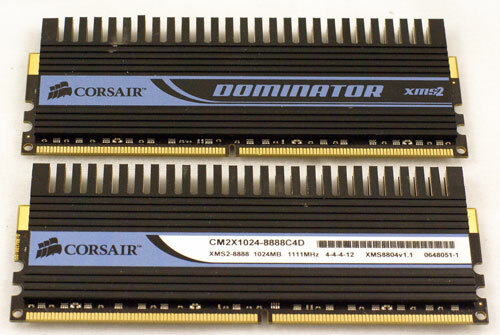 Corsair Dominator DDR2-1111 was chosen for the wide range of available DDR2 memory speeds and the excellent timings available at DDR2-800 and DDR2-1067. 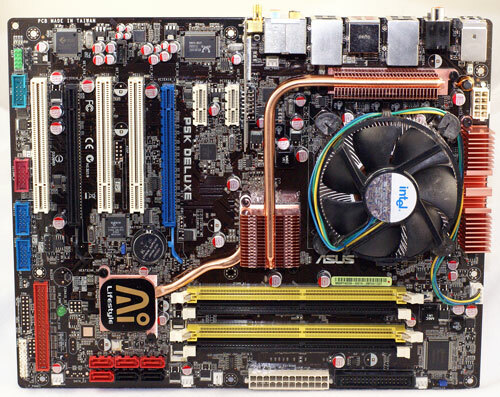 Since the primary goal was to compare DDR2 and DDR3 performance it was important to find P35 motherboards that supported DDR2 and DDR3 in as similar a configuration as possible. ASUS will be marketing a pair of premium motherboards that differ only in the memory each motherboard supports. The ASUS P5K3 Deluxe is powered by the Intel P35 chipset and fully supports DDR3 memory to an official DDR3-1333 speed. 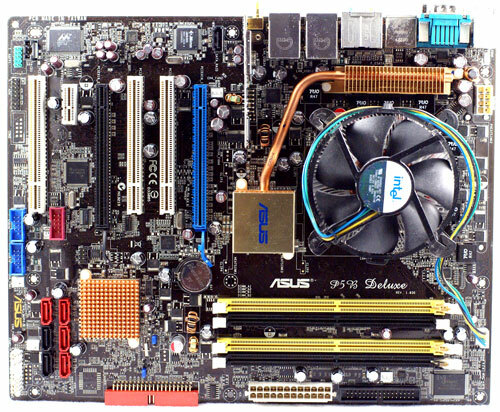 The ASUS P5K Deluxe is based on the same P35 chipset but supports DDR2 memory. There are other minor differences in the two boards, but they are basically the same board supporting different memory types. This is exactly the configuration needed for our comparison. 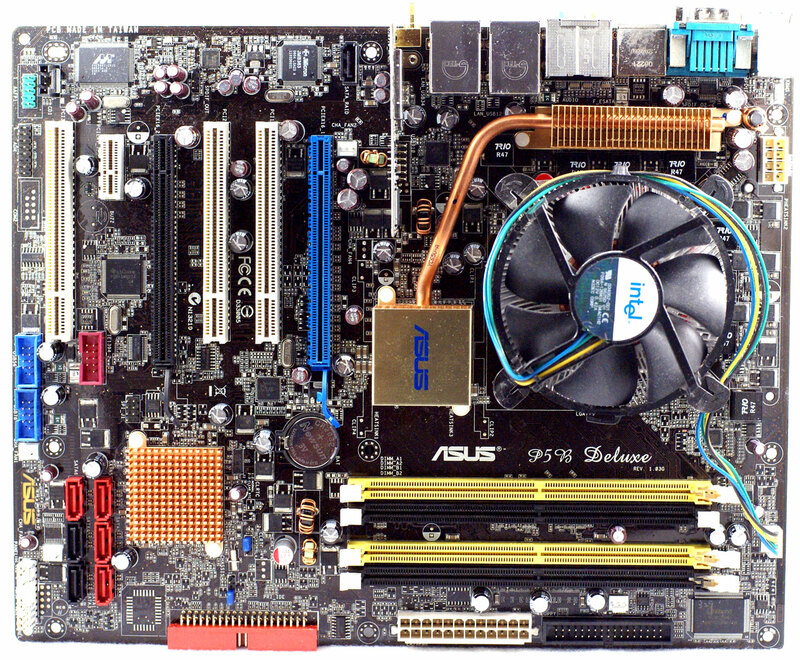 For comparison to a current Intel chipset, the ASUS P5B Deluxe was used. This excellent motherboard received the Gold Editors' Choice in the conclusion to our recent P965 motherboard roundup. It also supports a wide range of memory voltages and speeds which make it ideal for comparison testing to the P35 motherboards. Hey there, I'm still not sure what would be better. I have an AsRock P35 motherboard, and am totally confused as to what would be better when it comes to DDR2 or DDR3. The motherboard it's self can hold up to 8gb of PC2 8500 1066mhz duel channel DDR2 memory, and up to 4gb of PC3 10600 1333mhz duel channel DDR3 memory. Intel® Wi-Fi Link 5100AGN (802.11a/b/g/n) network connection and extended battery life capability. For multitasking power, expandable to 8GB. 1066MHz frontside bus, 3MB L2 cache and 2.4GHz processor speed. WHO CAN TELL ME WHAT IS THE BEST CHOICE HERE BETWEEN THOSE LAPTOP...? Two conditions would shift the recommendation to DDR3 instead. When DDR3 prices come close to DDR2 then buy DDR3 instead. More significantly, when DDR3 becomes available at higher speeds and/or faster timings then definitely choose DDR3 if you are looking for performance - even if the price is higher. You're not the first person to be frustrated by how poorly memory speed increases, but there are a few things to consider. For one, the new controller is NOT 18% faster than the old, that is only in bandwidth, not latency. Latency is VERY important, and discounting is a huge fallacy. And yes, bandwidth has increased a lot more than 18% from DDR. Secondly, this isn't by any means the end of DDR2, it's a forward looking move that paves the way for DDR3. DDR2 will continue to dominate the market, and by the time it's obsolete you'll have DDR3 ready. What would happen if Intel waited for DDR2 to already be obsolete before they introduced DDR3? You'd have that long wait while memory companies worked on the new technology, and prices were very high and performance wasn't what it should be. After a couple of years, DDR3 would finally be mature in performance and cost, but nearly obsolesence itself. So, Intel is just getting things started so when DDR3 does become necessary, it is ready. It's like a pipelined processor, Intel is starting DDR3 in stage one while DDR2 is in stage 2. Also, keep in mind that DDR2 is not made to go much faster than it is, and will run into a wall. That's where DDR3 comes in. Again, it's forward looking by Intel. DDR2 can still increase a bit, but by the time it runs into a wall, DDR3 will be right there to go to higher speeds. Wow, that's a really uninformed remark. You might not notice X-Rays, but they can kill you. So don't talk about this babble with tangible (it's a poor choice of words, since it literally means "touchable" and it's bad enough Anand overuses it) and what's noticeable. You're getting an amazing increase from a chipset, and this is the mainstream chipset. 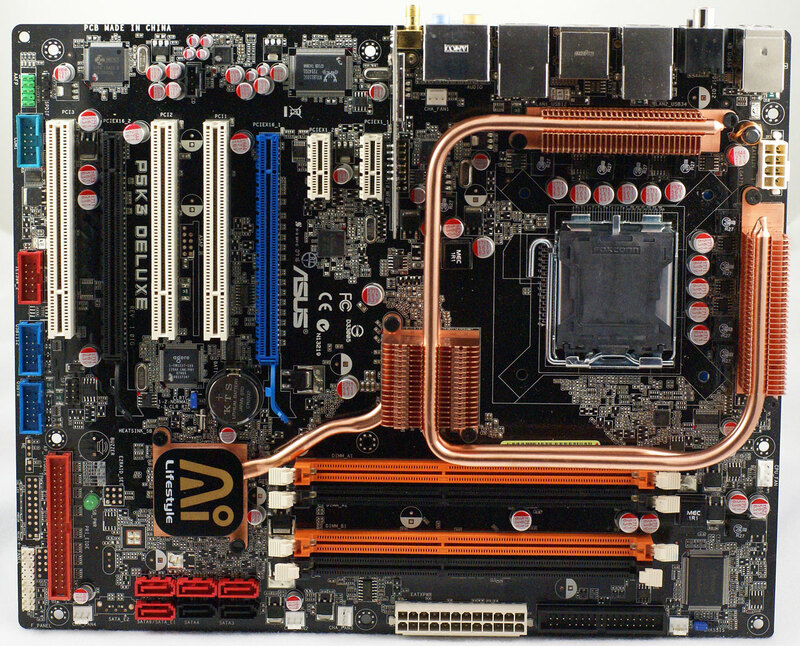 On top of that, it supports DDR2 and DDR3 so it pushes the technology envelope forward. Getting any increases in memory performance is simply amazing at this point, since chipsets are so mature it's not like there is a low hanging fruit, and Intel processors have such a large cache it makes memory performance less important than would otherwise be. It's a fantastic chipset, arguably the next 440BX. I knew it was good, but even I'm shocked at just how good it is. Kind of kills the argument for the on-die memory controller, which I never was completely sold on. It's scary though, it makes you wonder just how well Intel will do with that if they can get this type of performance with the memory controller on the chipset. So, you're saying that on every single test by weird coincidence, the Bearlake is higher just be statistical scatter? You're saying the huge increase in bandwidth is somehow also weird coincidence? How do you know what the margin of error is anyway? When you get repeatable results where one is always higher, you can conclude pretty easily that they are real and not statistical scatter. And you know the cost of Bearlake how? You are sure it's more expensive? It probably uses less power, since it's made on finer lithography. So, you're talking about something you probably don't know anything about. I do agree that most people don't need the latest and greatest, so I fundamentally agree with that part, but who is going to make them buy this chipset? If they want cheap, they can still buy something cheap, if this isn't, which I don't know. But, some people need performance, and this is a great item for that, and it's a real accomplishment from Intel. By your perverse logic, all improvements that don't increase web speed are immaterial. That's clearly wrong. That only applies to some people. Thats total system performance, from 1 part. Memory performance is 16% and that huge from a low cost part. Unless your adding a $400 video card over $200 card you will not notice the diffenecen either. One part theats 15% more in price then a similar part will rarely give you 5% improvement. Remember this is a systems and it mean each part gives some improvement to make a better system.